In the last sunday (09/02/18), the HackMobility2018 event took place in downtown São Paulo. 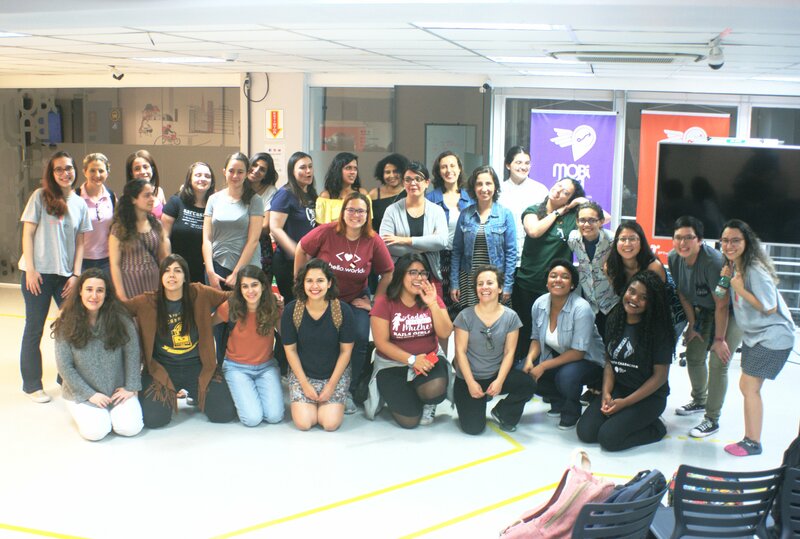 The hack day event hosted 21 participants, all women, and aimed to analyze data related to urban mobility in São Paulo to propose solutions that contribute to a more accessible city for pedestrians and cyclists. For this purpose, the participants had access to several datasets of city departments, such as the Health Secretariat, the Traffic Engineering Company (CET), São Paulo Transportation department (SPTrans), among others. These datasets include information such as traffic accidents, traffic tickets, hospital care and deaths. The event was conceived and organized by USPCodeLab , the Ciclocidade and InterSCity, and was supported by Yellow . The HackMobility2018 happened in the São Paulo’s Laboratory of Innovation in Mobility (MobiLab). During the 10 hours of the event, the participants, organized into 5 teams, developed their ideas and solutions for mobility. Most of the teams focused on public safety issues, which shows that this is one of the main concerns related to mobility in São Paulo, especially for women. At the end of the event, the teams presented their proposals and were evaluated by a judging committee composed of Ana Carolina Nunes, director of Cidadeapé, Haydee Svab, researcher in Urban Mobility and Graziela Tonin, professor and researcher in Software Engineering at the Federal University of the Border South. The winning proposal was the Friend Tip app, proposed by Iara Pereira, Jéssica Rocha, Lais Aguiar, Michelle Tanaka and Nataly Gonçalves. Friend Tip traces safer routes for cyclists. In addition, the app identifies users who make similar routes to suggest friends for group travels. Friend Tip uses data of accidents in São Paulo and the São Paulo cycling routes to identify the most dangerous routes. The winning team members received R$ 200.00 in credits for using Yellow bikes, while the other participants received credits of R$ 50.00 each one.